We are excited for our fourth annual Alumni FUNdraising Drive and invite you to help sponsor our next generation of amazing young leaders! Our goal is to raise $10,000 by December 1st to sponsor 50 outstanding and deserving students for our 2018 seminar. 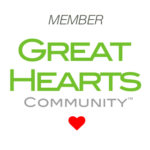 We encourage and welcome all contribution amounts – every dollar makes a difference. All donors will receive recognition in our 2018 seminar program Booklet and on our social media sites. Donations of $200 receive a 2018 Seminar T-Shirt, a handwritten thank you letter from your sponsored leader, and a 3”x5” WILS removable oval bumper sticker. • We continue to provide a FREE annual seminar to 250 amazing young leaders that focuses on responsibility, service, inclusiveness, and decision making. To keep this momentum going, we need your continued support. Our goal is to raise $10,000 from our alumni; that’s sponsorships for 50 amazing young leaders, by December 1st. 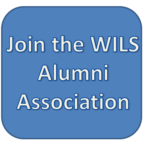 Help us make our fourth annual WILS Alumni FUNdraising drive a resounding success. Participation matters and is meaningful at whatever level fits your life whether it is $10 or $500. Let’s work together to make this year our biggest year ever for alumni donations!